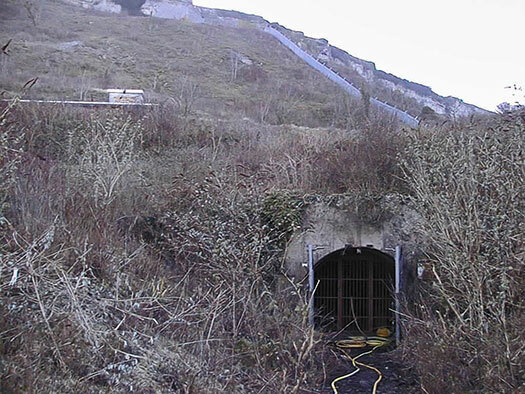 Portland Underground Fuel Depot, Portland, Dorset. 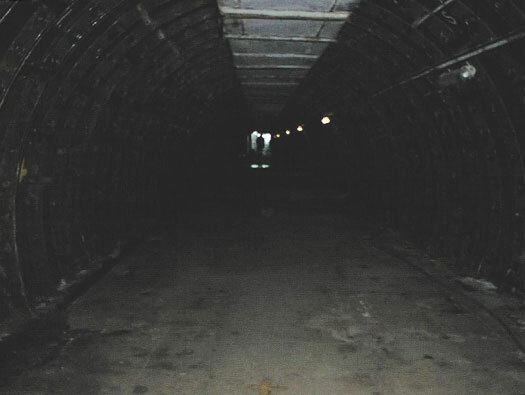 Heavy fuel oil underground storage tunnels. Portland is an island off he south coast. It sticks out from the land a large lump of rock. Portland stone was used to build most of the big important buildings in London in the 19th/20th cent. From pre Roman as a fort, the Romans as a port. 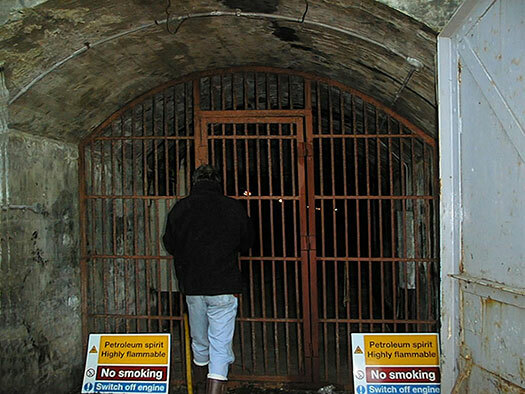 In the Victorian times a massive fort was built the Vern, now a Prison. The Royal Navy needed sheltered anchorage for its fleet and Portland was used. 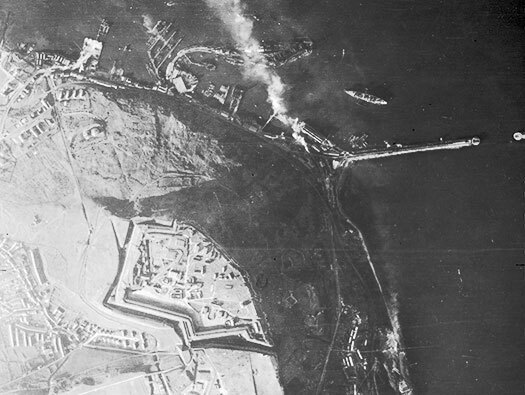 A large breakwater was built and the port turned into a large Naval depot. 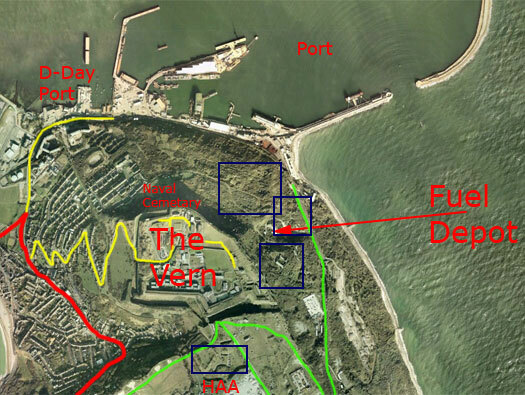 The Vern Victorian fort and the breakwater sticking out and the port. 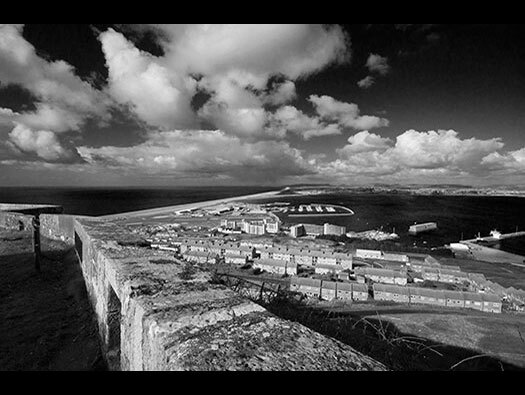 The Vern and the port were built by prison labour, a huge ditch was constructed around its landward side and shear cliffs on its other sides. The seaward side and the ports a massive breakwater, this was built to counter the military port of Cherbourg being built by the French. 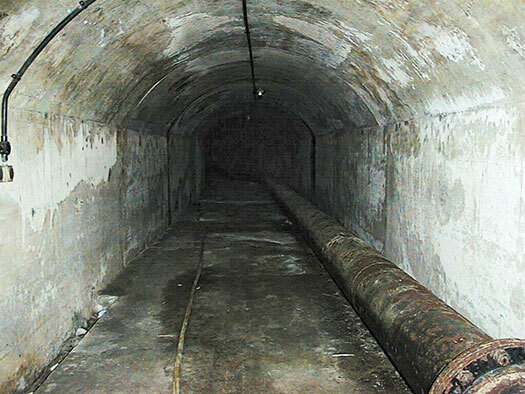 As the Royal Navy moved from sail to coal (steam) and then coal to oil, they needed a safe storage facility for their oil. The blue squares are parts of the old Victorian defences. HAA - heavy anti aircraft battery. A four x 3.7 battery of Vickers guns. The naval cemetery pre WW1, WW1 & 2 graves. The Port and its breakwater. The D-Day embarkation area. 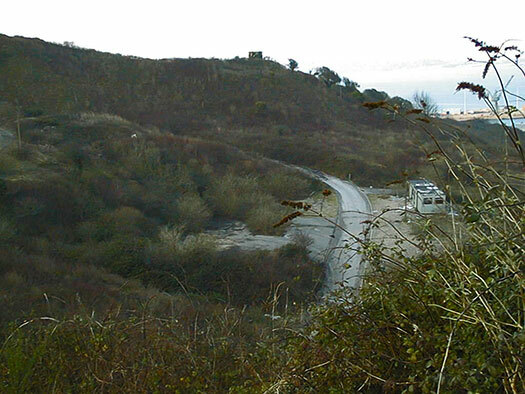 This is where many of the troops and heavy equipment for Omaha Beach left from. Red & yellow are the accessible roads, there are also many rights of way paths in the area. 3.7 battery of Vickers AA gun. 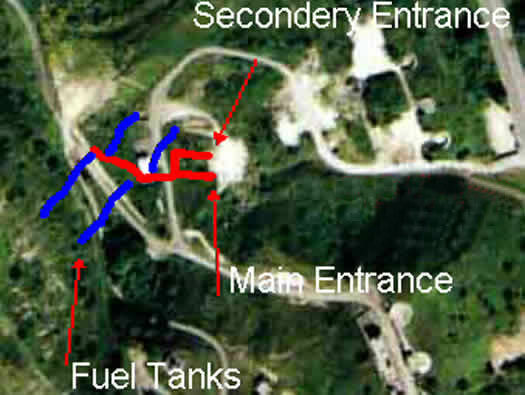 Plan of the fuel depot. This is my plan, I can find no better one and it was a long time ago and we did not spend very long inside. I wish I had taken more pictures. 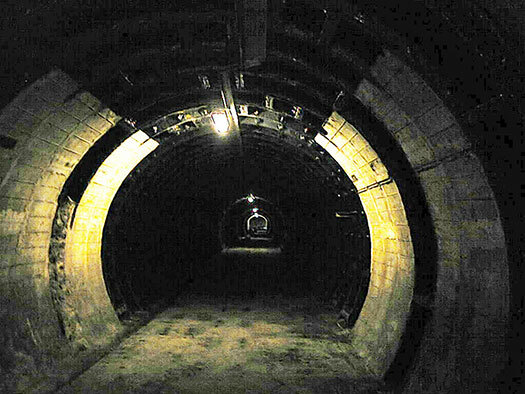 Red - the access tunnels. Blue - the fuel tanks. The oil was a very heavy thick type and I believe it had to be heated to run freely through pipes? This is a cross section of the oil storage. 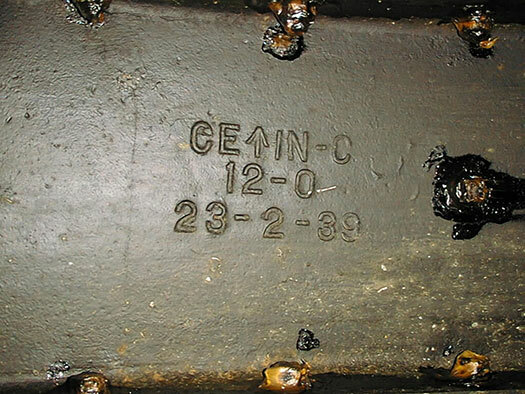 Bunker fuel or bunker crude is technically any type of fuel oil used aboard vessels. 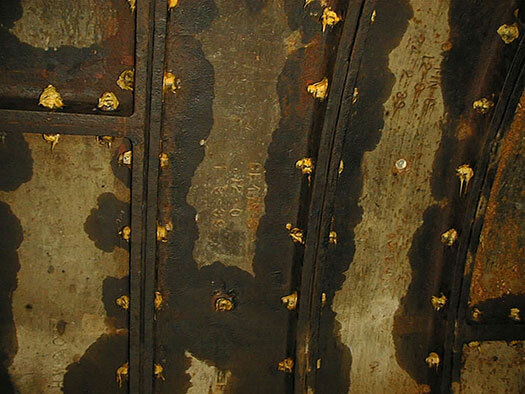 It gets its name from the tanks on ships and in ports that it is stored in; in the early days of steam they were coal bunkers but now they are bunker fuel tanks. The Australian Customs and the Australian Tax Office define a bunker fuel as the fuel that powers the engine of a ship or aircraft. Bunker A is No. 2 fuel oil, bunker B is No. 4 or No. 5 and bunker C is No. 6. Since No. 6 is the most common, "bunker fuel" is often used as a synonym for No. 6. No. 5 fuel oil is also called Navy Special Fuel Oil (NSFO) or just navy special; No. 5 or 6 are also commonly called heavy fuel oil (HFO) or furnace fuel oil (FFO); the high viscosity requires heating, usually by a recirculated low pressure steam system, before the oil can be pumped from a bunker tank. Bunkers are rarely labelled this way in modern maritime practice. Oil tank farm, now demolished was placed there in I think the 1930's and held oil for the Royal Navy. But due to the thought of heavy bombing a need for having a safe supply of oil. So these tunnels were dug into into the rock. Site of the fuel depot. You can see the two entrances and an open trench, possibly laying a new pipe. The picture looks as though it was taken in the 50's. All around here this area are old fortifications of gun emplacements and even a large stone fort. 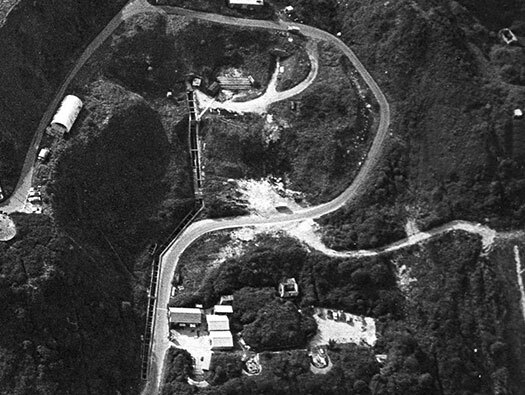 The picture was taken from B battery. Red - A, B & C batteries. The large barracks. One emplacement of A Battery. Ship to ship re fuelling pipe work. Hoses used for re fuelling. 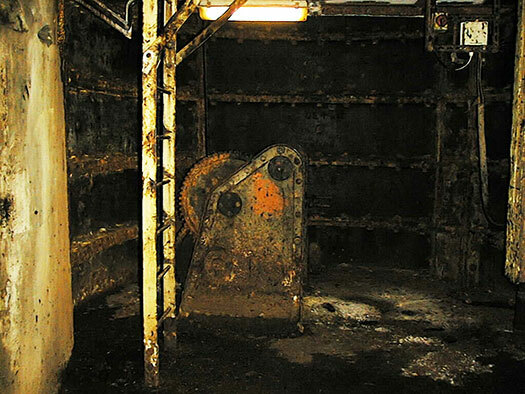 Royal Naval ships engine room. We were walking around the area and came upon a lovely man walking his dog. We started talking and he explained that he was venting out the tunnels to make them safe to use and would we like t see inside. Silly question, obviously we would. Tunnel wall plates. All the bolts have been greased. 23-2-39 date of manufacture. 23 February 1939. At the end was a winch. Here I am afraid I did not take any pictures of the actual fuel stores. These were the days when digital cameras were very new and quality issues and low light photography was very bad. 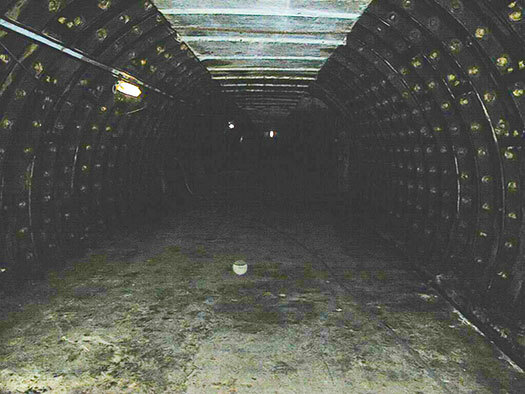 The tunnels were very dark with no lighting and all I remember was that it was a round tunnel with a concrete half liner in the bottom where the oil was stored. Drawing below. This is how I think I saw it. Winch at Inchindown, Royal Navy Fuel Depot Scotland. 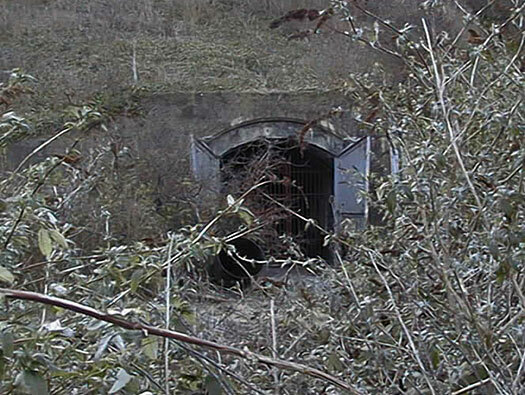 The second tunnel with the oil pipe running trough it. The view down from the Verne. 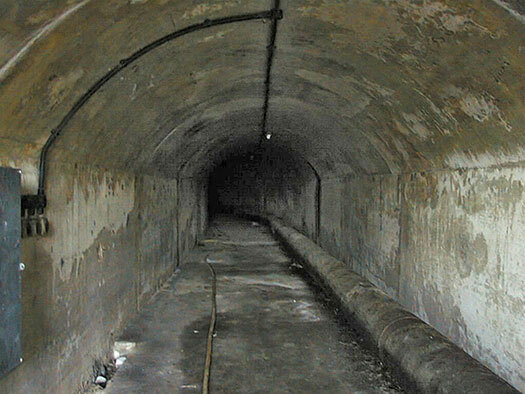 There are stories of many tunnels running under Portland, some relate to a tunnel from one side to the other to allow submarines to sail through?? Well one was the Naval Operations HQ, the fuel depot, several air raid shelters and a small hospital bunker. Plan of the Naval wartime operations HQ which was just around the corner.